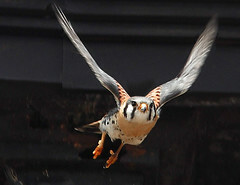 It’s bird migration season, meaning you can see more than just the usual pigeons and sparrows in Tompkins Square Park. Dennis Edge, a local birder, has photographed 92 species there, and he’ll talk about it at the 6th & B community garden later this month. 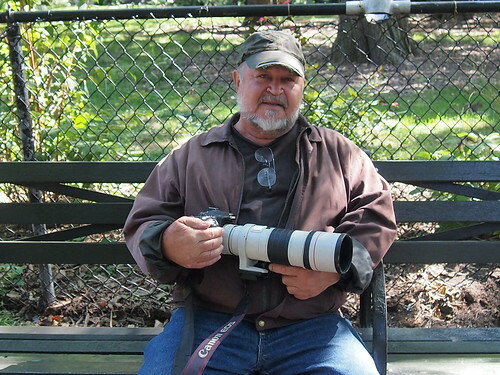 The retired graphic designer often roams the park with a digital SLR camera and telephoto lens. 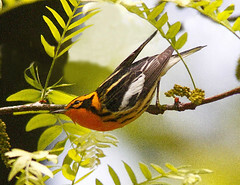 Just yesterday morning he spied an American redstart warbler, a migratory bird with orange patches, in the vines near the park’s offices.